as i mentioned last week in my post about massages, LA has an abundant supply of inexpensive personal care services. and i've tried lots and lots of them. but this week, we're talking nails. take it from a former hand model (ha. but yeah seriously)...this place is the best. i went here to get my nails done before our wedding, so we have a special bond. and after years of trial and error, this is the only place i go to on the westside. 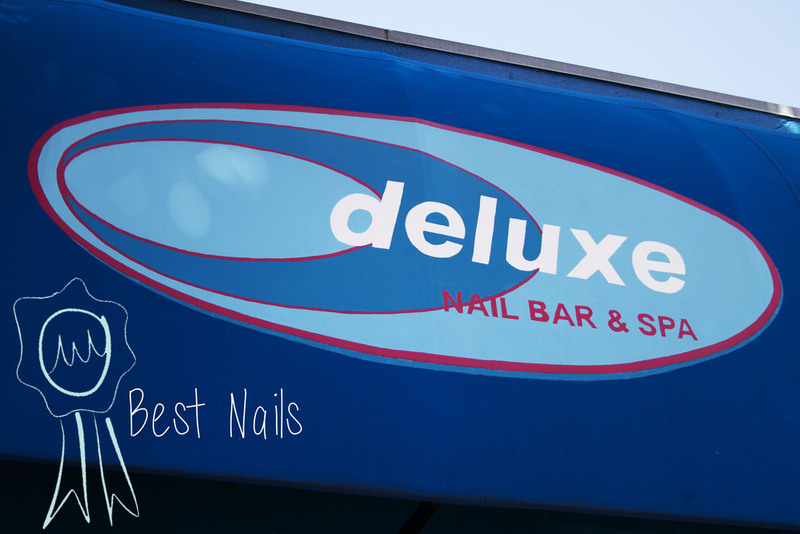 price: $25 for a mani/pedi!!! TIP: let Kim (the manager) know that Lauren from Westside Bestside sent you! make an appointment if you go on the weekend. and, Jessica is my favorite nail gal, but everyone is super sweet and does a great job. can't go wrong! the colors i'm into this summer are: OPI the color of minnie (pictured below) , Essie saturday disco fever, Essie Capri, + Essie Haute as Hello. can you tell i like orange? what are your favorite polish colors right now? i actually need a recommendation for a good shade of mint...anyone? be sure to check out our other Westie award winners HERE! Posted on June 12, 2013 by Lauren Wilson and filed under LA, pretty, style, WESTIE Award Winners and tagged nails salon westie winner westies westside nail polish summer main st. santa monica main.